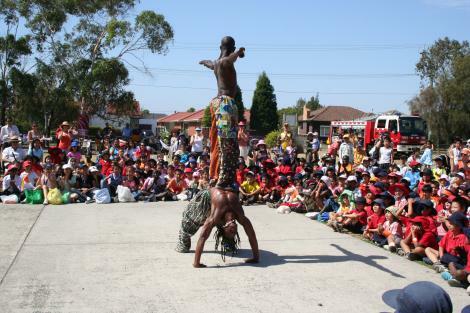 Asanti Dance Theatre have worked with students of all ages and abilities from many destinations around the world. We play, teach, perform and entertain leaving students a lasting impression and a new wealth of knowledge that remains long after the workshops end. With years of experience teaching in Australian schools we understand the importance of providing an engaging incursion that reflects each individual schools needs. Our talented artists ensure that our sessions provide a safe, supportive and inclusive environment for learning to take place and that our incursions are both fun and informative. My hands are still vibrating from the drumming...my body is still buzzing from the dance...Asanti set our school on fire! The kids went completely wild! Even the staff were blown out of their minds! 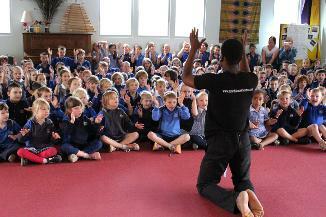 A well worth incursion, students were captivated by the music, dance and storytelling workshops. 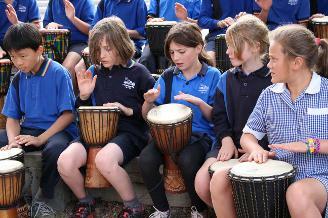 The Asanti teachers allowed students to learn, have fun and be submerged in African culture. A memorable experience for both staff and students. Thank you! 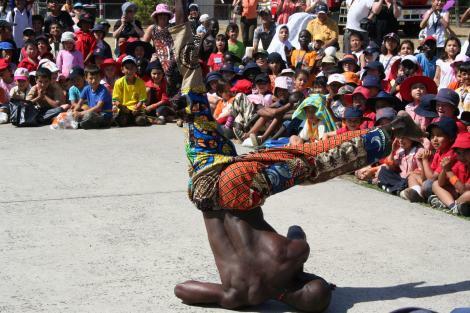 The children had a blast, the performers were full of energy and engaged children in the culture of rhythm and dance!! Thank-you! ASANTI is the best African performance group we have had in our school. The students and teachers are eager to have you back each year. Your visits to our school have certainly been enriching and memorable. Students talk about you for weeks afterwards. You leave a lasting impression! A word from the teachers.. Thanks for the performance- it was awesome. Come back again. Thanks for the great performance. Fan-bloody-tastic!! Great show, really enjoyable. Stylish- awesome show, really really fun. Thanks for coming to our school to perform for us- it was great! Sharing our culture with the Australian students is so rewarding. We come out of every school gig with great energy and inspiration...as do the students!